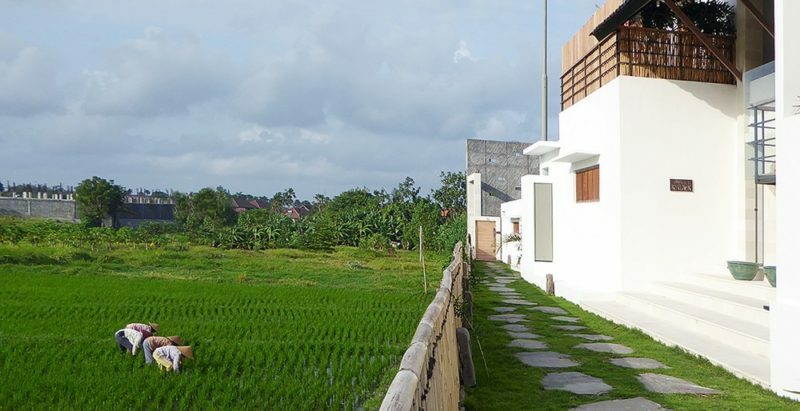 Villa Kadek is part of Abaca Villa nestled in the middle of the rice fields and located right in a private alley in Jalan Petitenget, Seminyak. 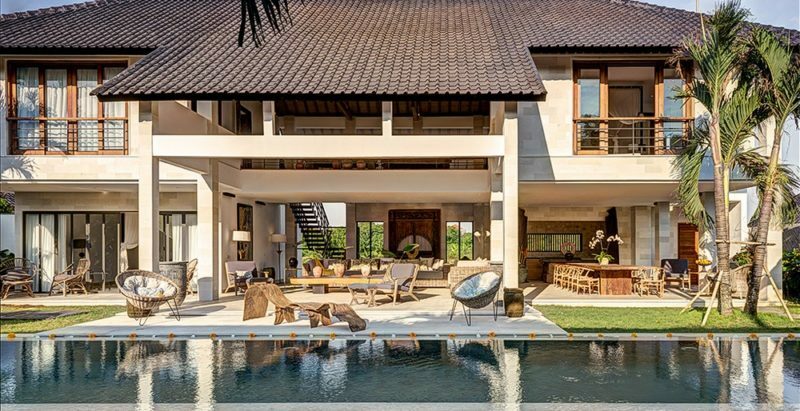 Made as a haven of peace Villa Kadek provides the comfort of a luxury retreat with its contemporary and elegant style with large lounge opened on the rice paddies. 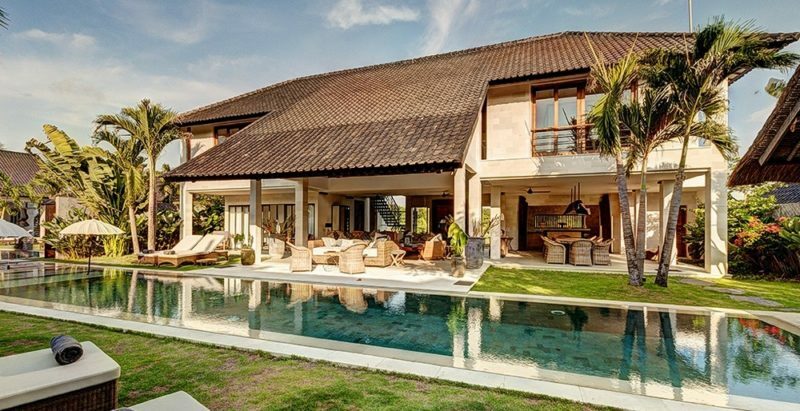 Villa Kadek is five bedrooms allocated on two floors. A perfect choice for friends or family gathering. 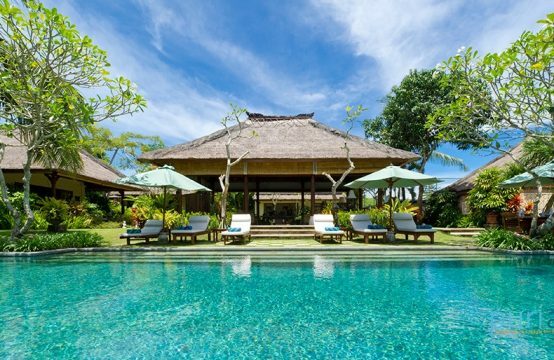 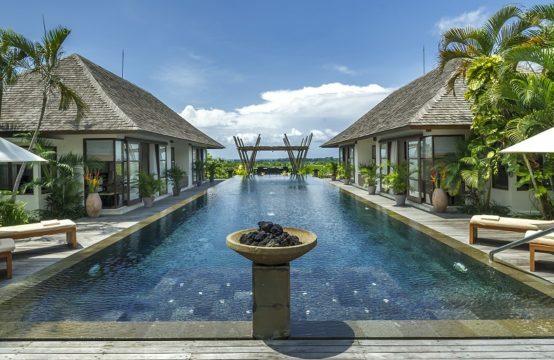 On the ground floor, three large bedrooms spread out around a long central swimming pool 18/4m with terrace and umbrellas inside the water, wide garden including single and double sun beds and a gazebo for your in-villa massage. 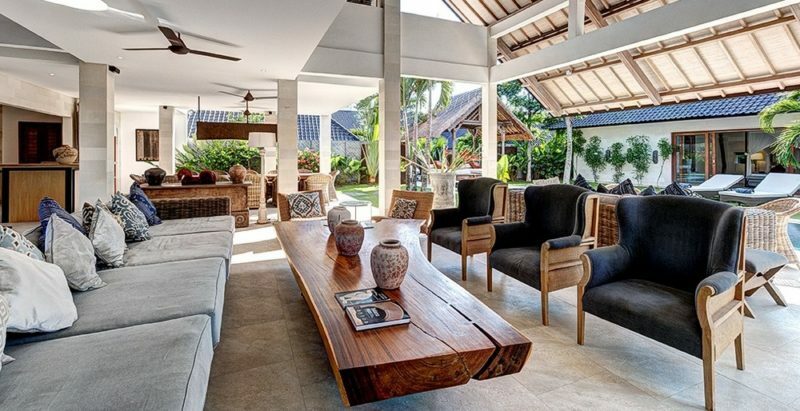 A vast shared open space comprises a breezy and cozy living room with sophisticated decoration and art pieces, a large dining room and a fully equipped kitchen, wine chiller with some selection of wines, LED screen HD TV and sound system. 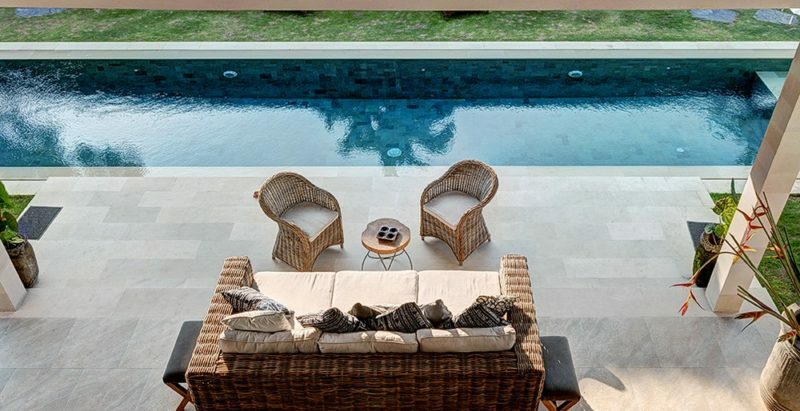 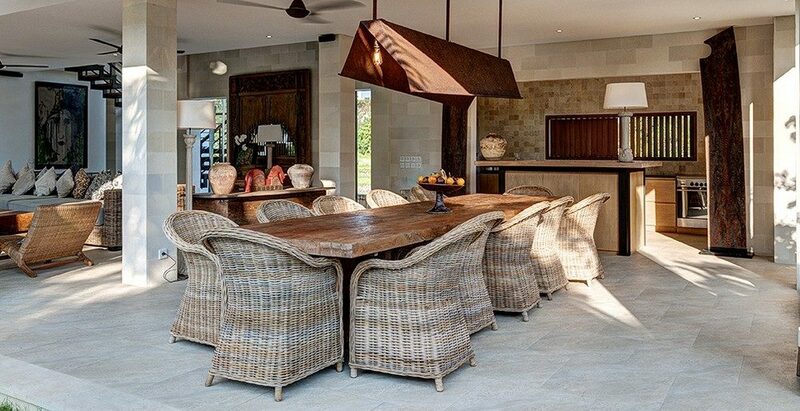 A large terrace between the pool an living room perfect for both family & friends gathering. 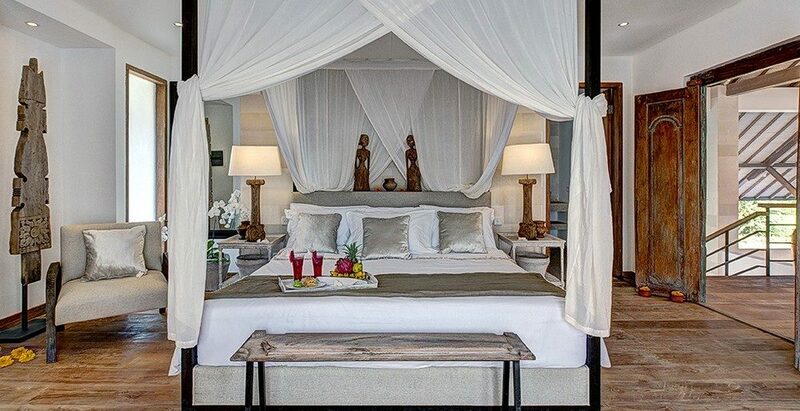 Beside the living room extends the first bedroom that consists of: a canopy bed with mosquito net and premium bedding. 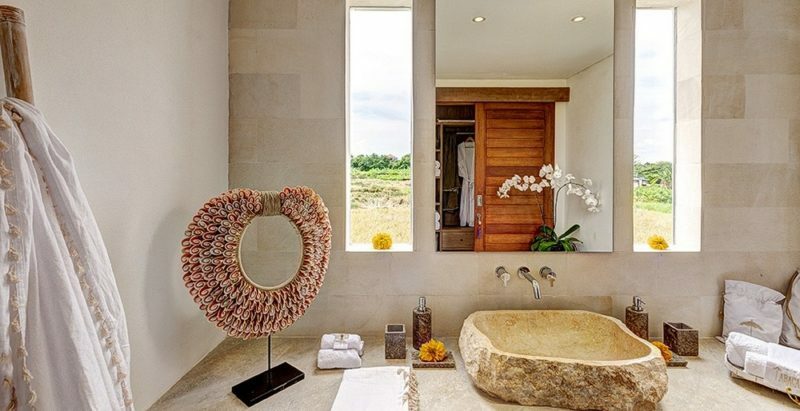 night stands and designer lamps, writing desk and chairs, and a wide made-to-measure wardrobe behind the bed headboard, an adjacent bathroom with basin, toilets and a large shower, with windows giving onto the rice fields view. 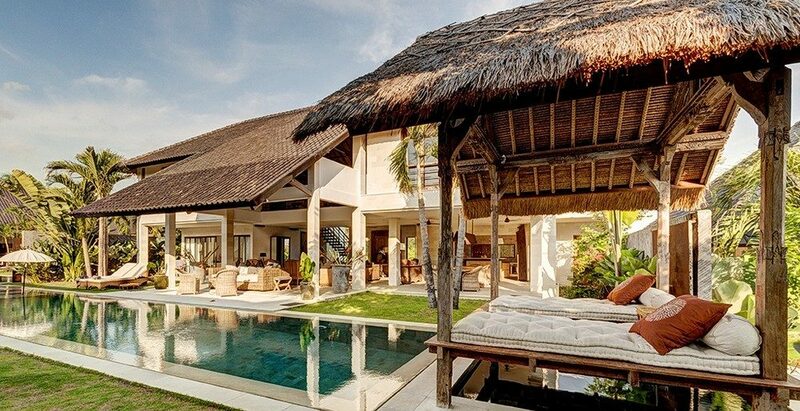 A terrace in front of the bedroom to relax viewing the pool area. 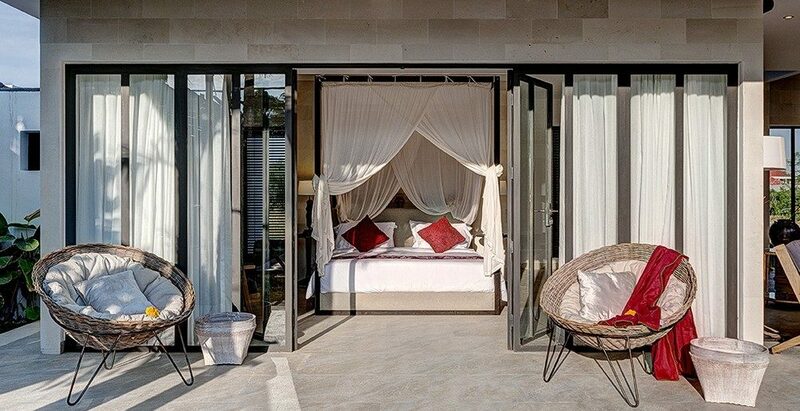 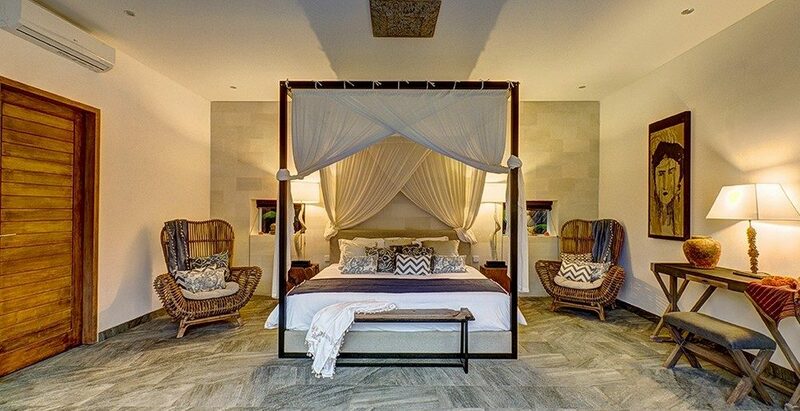 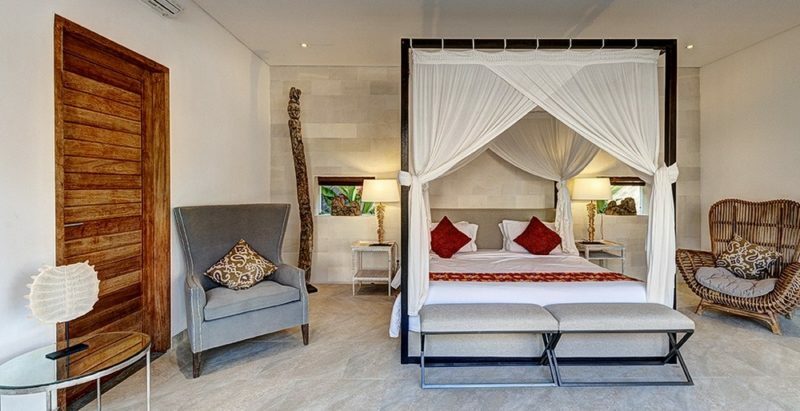 On the opposite side of the pool, the second and third bedrooms are both composed of: a king-size canopy bed with mosquito net and premium bedding. 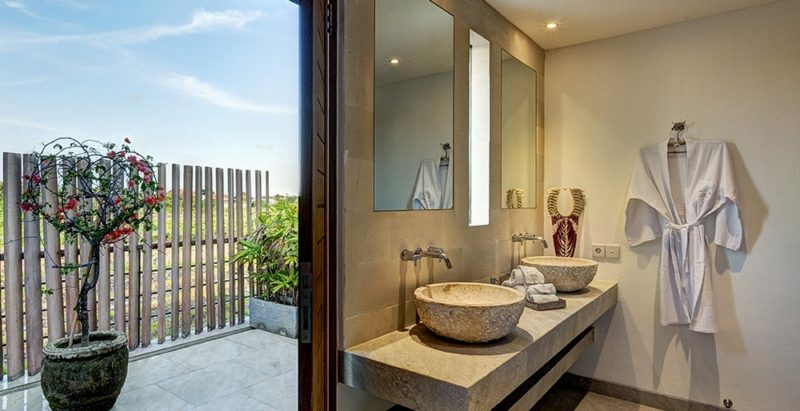 night stands and designer lamps, writing desk and chairs, an adjacent bathroom with double basin, a wide made-to-measure wardrobe, a large shower and toilets. 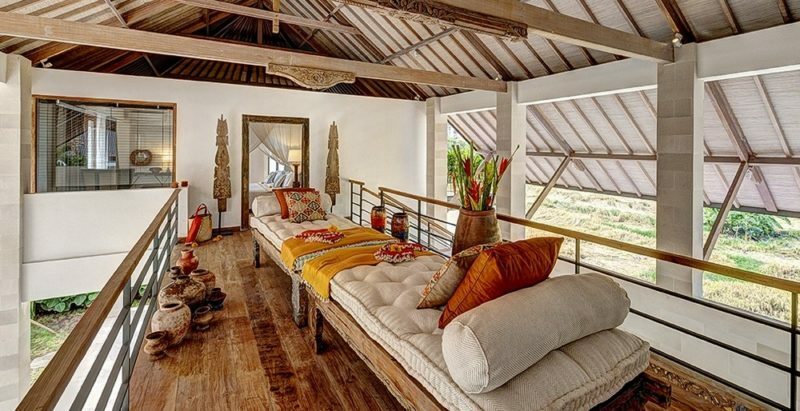 From the lounge area, a staircase leads to the second floor, where an open corridor distributes two bedrooms. 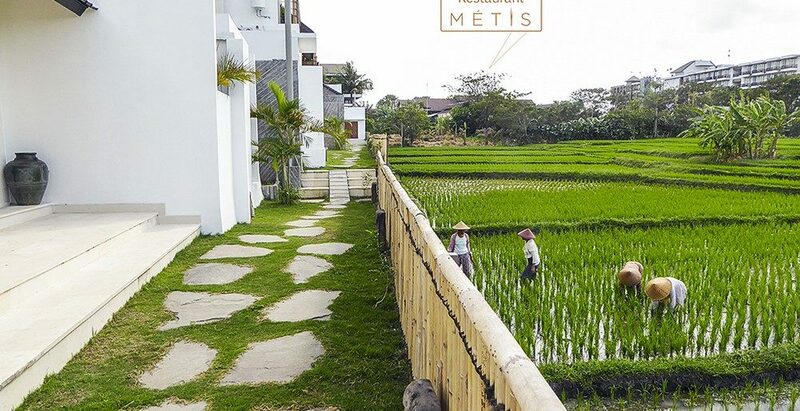 Two comfortable daybeds are set up on the bridge and overlooks the rice fields both exposed to an heavenly breezy area perfect to read in front of the rice fields during Balinese hot days. The two similar bedrooms displayed on the right and left side are both arranged such as a mini-suite and both are composed of: a king-size canopy bed with mosquito net night stands and designer lamps, writing desk and chairs, an adjacent open bathroom with double basin and private garden, a wide made-to-measure wardrobe, toilets, and an open shower giving onto a private rooftop terrace with stunning view on the rice fields and sunrise.